The Roland TR-909 Rhythm Composer hardly needs an introduction. 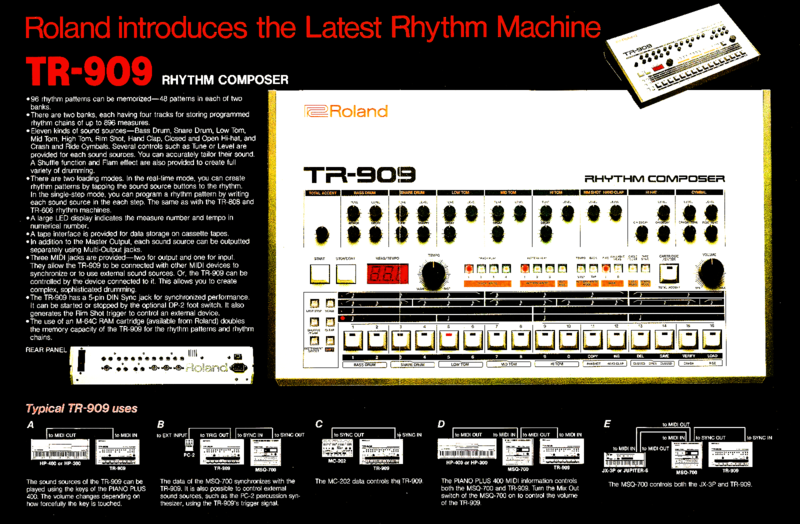 Designed by Tadao Kikumoto and originally released in 1983, the TR-909 evolved from the TR-808. At the time, Roland had great ambitions for the machine, creating 10,000 of them during the first production runs, but they just didn't sell well enough for the company to continue making them. As anyone who knows the origin story of techno and house will recall, many units ended up in pawn shops, where burgeoning producers—like Larry Heard, Derrick May, Plastikman, and Jeff Mills—scooped them up for cheap and started pioneering new genres. Original TR-909s—now exotic vintage items—are still highly sought-after by musicians and collectors alike. With limited supply and high price tags, many brands have made clones, emulations, and digital instruments to achieve the classic sounds—including plugins like the D16 Drumazon Drum Machine and Roland's own version in the Roland Cloud Instrument Suite—and there are plenty of sample packs compiled from well-recorded vintage machines. A household name in the global house music community, DJ Deeon was a major influence in the development of the house music sound emanating from the West Side of Chicago. And his reach travelled far across the Atlantic, with Daft Punk famously name-dropping him in their 1997 shout-out track, "Teachers." Our Modded TR-909 Sample Pack announcement video. DJ Deeon's records such as "Shake What Ya Momma Gave Ya" and "The Freaks" helped lay the groundwork of the ghetto house sound of Chicago, a sound that would come to define his artistic output. With many tracks featuring just one or two drum machines, a few samples, and uptempo programming, DJ Deeon—along with other second generation Dance Mania artists like DJ Funk, DJ Milton, Wax Master, Jammin Gerald, and many others—would go on to pave the stylistic way for what would later develop into the genre of music known as footwork. We took the custom Roland TR-909 Rhythm Composer formerly owned by DJ Deeon—and, with the permission of the current owner—we're making the sound of this distinct machine available to anyone for the first time ever, with the Reverb Modded Roland TR-909 Sample Pack. This unique Roland TR-909 features a myriad of dynamic and tone control modifications implemented across almost all the on-board drum sounds—with the exception of ride and crash cymbals—and in certain cases, more than one modification per sound. It features fully analog, class A circuitry, modifications by James Walker of Synth Repair Services in Stoke-on-Trent in the UK, and the custom silver on black paint job was done by Jeff Toman of Custom Synths in Manchester. In creating this sample collection, we extensively sampled this Roland Rhythm Composer—in every possible way—capturing every possible unique combination of sonic assault this machine is capable of. 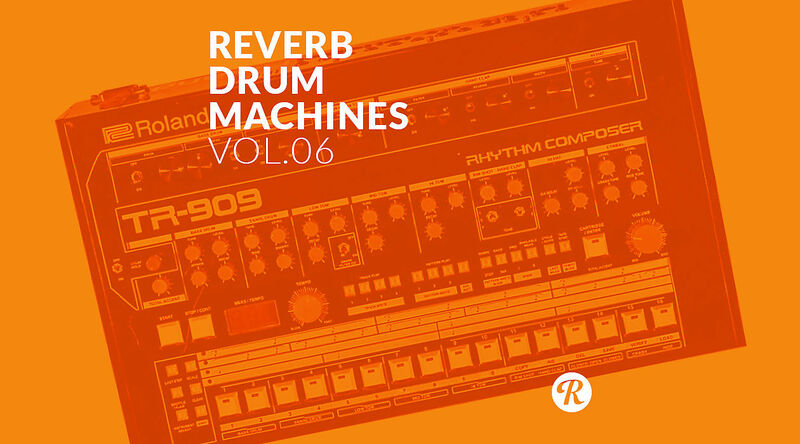 Totaling 262 audio files, this Reverb Exclusive sample pack puts the sound of this custom TR-909 right in your sampler or digital audio workstation. For the first time ever, get access to the unique sound of this custom take on one of the most iconic drum machines of all time for use in any production. Listen to our audio demos and see the lists below for all of the sounds in the sample back, as well as the exact modifications made to this custom drum machine. Click here to download samples from this custom TR-909 now.